Andrea Currie was taken away from her Métis family and culture in Winnipeg as part of the Sixties Scoop, but didn’t find out about her roots until the 1990s. Andrea Currie was taken away from her Métis family and culture in Winnipeg as part of the Sixties Scoop. She didn't find out about her roots until the 1990s. "I grew up not really having any sense of who I was," she said. She only found out about her Métis ancestry in a phone conversation with a social worker. She had been an activist in Nova Scotia, advocating for Indigenous issues, but had no idea she was Métis herself. "My heart just stopped," Currie said. "I speak in public often, and I find words come easily to me, but there really are no words to describe how profound it is to find out who you really are." Currie was one of the Sixties Scoop survivors who attended engagement sessions organized by the Manitoba Metis Federation in Winnipeg on Saturday. It was an opportunity for attendees to tell their stories and share their vision for a settlement with the federal government for Métis Sixties Scoop survivors. The Sixties Scoop is the catch-all name for a series of policies enacted by provincial child welfare authorities starting in the mid-1950s, which saw thousands of Indigenous children taken from their homes and families, placed in foster homes, and eventually adopted out to white families across Canada and the United States. Those children typically lost their names, their language and a connection to their heritage. Many were also abused. In 2017, the federal government announced an $875-million agreement in principle with Sixties Scoop survivors, following years of legal action. 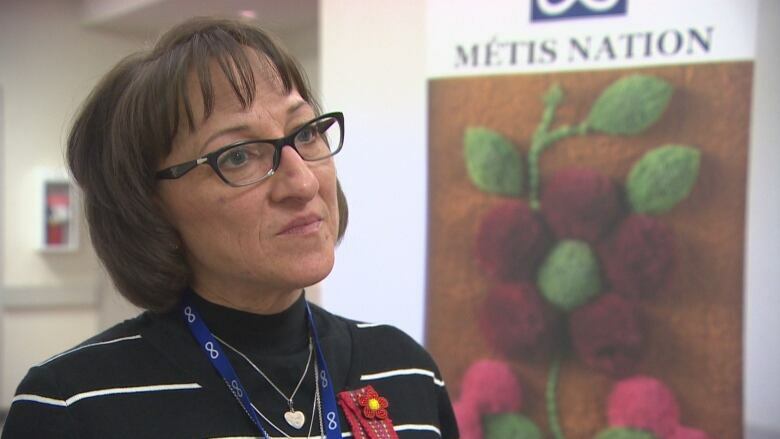 However, Métis survivors were left out of the agreement — something organizations like the Manitoba Metis Federation and the Métis National Council want to change. This weekend's Winnipeg sessions — which continue Sunday — with survivors were among the first engagement sessions held in Manitoba, with several more set to take place in April. 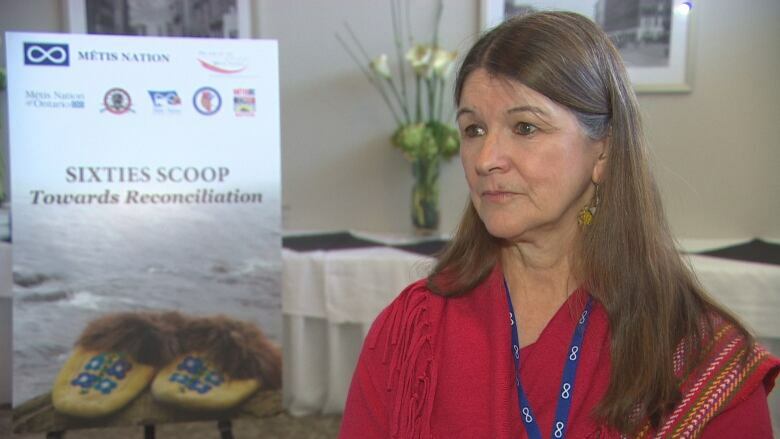 The goal of the sessions was to have in-depth conversations with survivors about what they would like to see out of the reconciliation process with the Canadian government, said Glorian Chartrand, the Métis National Council's Sixties Scoop co-ordinator. "This is part of the sharing process with our survivors too, because there are all kinds of indicators for reconciliation," she said. The Métis​ nation is pursuing negotiation, rather than litigation, with Canada for a settlement for survivors of the Sixties Scoop. It hopes to reach an agreement with the federal government by October of this year. Currie said she was mostly grateful for the opportunity this weekend's gathering provided to connect with other survivors. "Just being together is healing, and also having a chance to tell our stories, and hear each others' stories, is really important," she said. "So I came really for all of those reasons, and I feel it already. I've only been here for a couple of hours, and I feel a feeling of connection and belonging that most of us, as Sixties Scoop survivors, have lived without our whole lives."